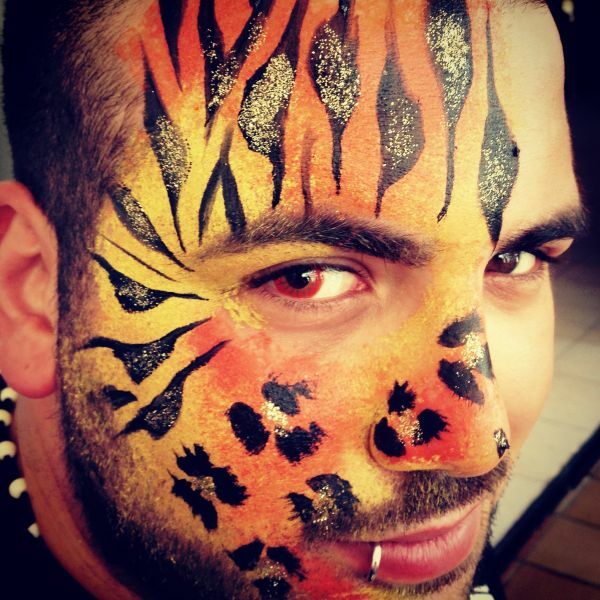 Our team of experienced face and body painters offer expert body painting for any occasion. Whether you are planning a trip to the Zoo Project and need help getting in character or you just want to glam up for a night out and want that something special! We stock a large selection of colours and more glitter than you could dream of. Alternatively, a mobile painting service is available. We travel to your villa or holiday residence and offer glitter, face and body painting services from our experienced, expert painters. All of the paints, glitter and travel is included in the price. We supply everything so all you have to worry about is looking your best! 1 Painter for every 6 people. Two large sections. Popular choices include whole of arm and full face. Two small sections. Popular choices include top of arm (from elbow to shoulder) and eye/ cheek area on face. We travel to you and supply all paints, tools and glitter. 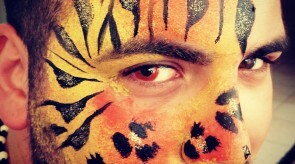 Our face and body painting packages have been designed for groups. Available 7 days a week anywhere across the island of Ibiza. Our body painters will travel to your villa, hotel or apartment and prepare the area. We supply and bring all the paints, tools and glitter required to transform you and your friends. A must have if you are planning to visit the Zoo Project or in preparation for a night out wanting that extra sparkle and to make it that little bit extra special! We use Snazaroo body paints that are water based and suitable for both adults and children. We have ample of colour and a large selection of glitter to choose from. Your face and body painters will arrive 10 minutes early to set up and get ready to start painting. We are happy to work indoors or outdoors under shade. It takes around 15 minutes to paint each person. Although this is dependent on the areas you choose and the design you require. 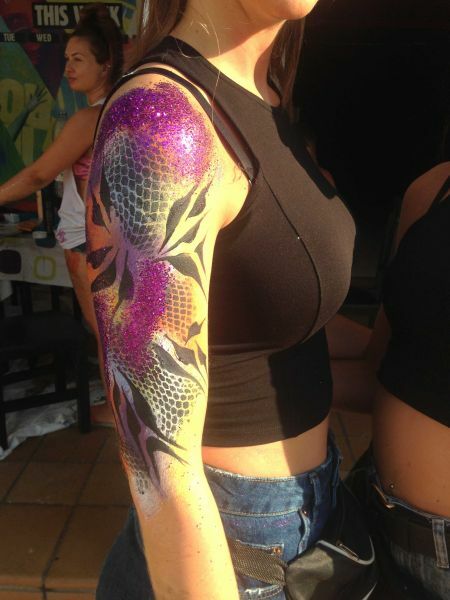 To see a full catalogue of our face and body art in Ibiza please visit our Instagram page.